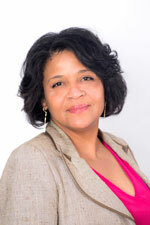 Gerron Levi is an attorney with nearly 20 years of federal and state government affairs experience. Her background includes serving in the Maryland General Assembly, where she authored laws on education, crime and ex-offender reentry and was a member of the National Conference of State Legislatures, National Black Caucus of State Legislators, National Foundation of Women Legislators and the American Council of Young Political Leaders. During her tenure, the Maryland State’s Attorneys Association named her as Legislator of the Year in 2010. She also served as Assistant Director of the Legislation Department at the AFL-CIO and as a Legislative Representative for the Laborers’ International Union. She lobbied Congress on a host of law around wages, working conditions, immigration, trade, health care and pensions. She is featured in the documentary How Democracy Works Now as the top lobbyist for the AFL-CIO on federal immigration reform. She also served as senior staff for former U.S. Representative Gus Savage and for U.S Senator Dianne Feinstein. She is a graduate of the University of California, Berkeley and Howard University, School of Law.